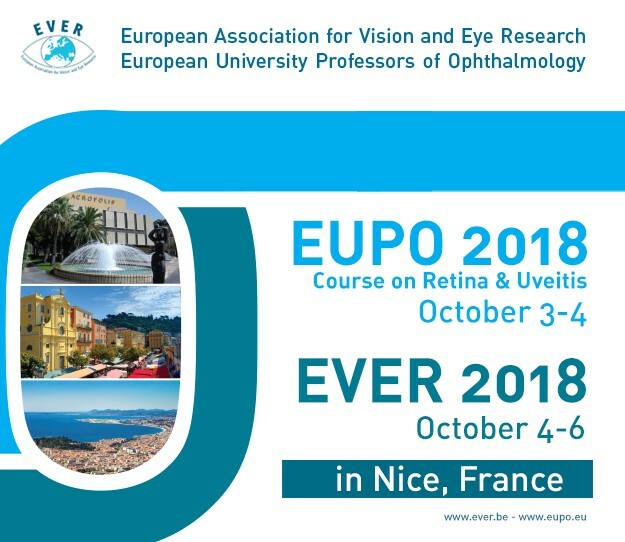 The European University Professors of Ophthalmology (EUPO) course (Oct 3-4) and the European Association for Vision and Eye Research (EVER) 2018 Congress (Oct 4-6) will take place at the Acropolis convention center situated in Nice, France. The EUPO 2018 (Oct 3-4) and EVER 2018 Congress (Oct 4-6) will take place at the Acropolis convention center situated in Nice, France. EVER is the leading ophthalmological research association in Europe which covers all areas of ophthalmology and the visual sciences. Besides the rapid fire presentations and posters, there will be keynote lectures, plenary lectures, special interest symposia, courses and workshops, with many distinguished invited speakers. You can access the official website page here.